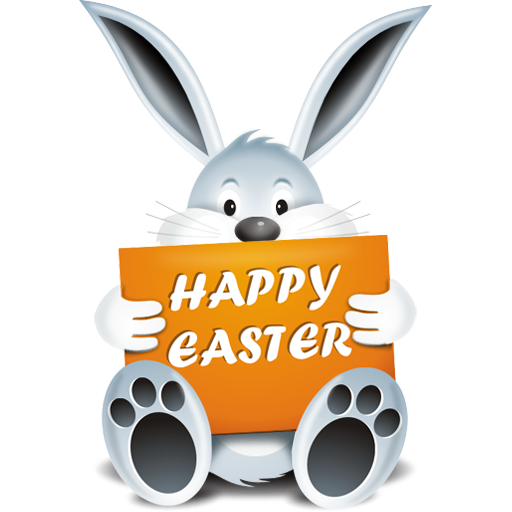 An Easter traditional dinner or dessert for the Polish is a type of Easter bread called Babka. 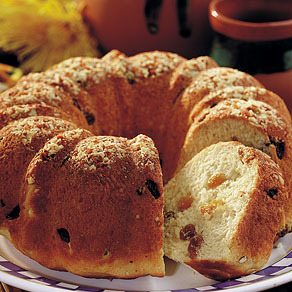 Babka is an Easter Bread that the Polish indulge on at Easter. 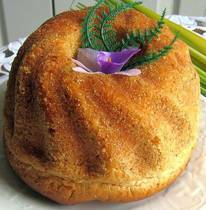 The Polish Easter Babka celebrates the return of the egg to the diet after the strictures of the Lenten fast. The only reason I know what Babka stands for is because I am Polish. For our Easter dinners and desserts, we always have Babka as an option. It is extremely delicious! It is very nutty, due to the different kinds of nuts inside of the bread. I definitely recommend this as a try for your Easter dinner or dessert. If you are willing to take the risk of trying Babka, follow the recipe below! 1. Scald milk and pour into a large bowl or stand mixer bowl fitted with the paddle attachment. Add 3/4 cup of the flour, mixing well, Cool. 2. Dissolve yeast in the lukewarm water for about 5 minutes. Add 1 tablespoon of the sugar and let stand for 5 minutes. Add to cooled milk mixture, combing well. Cover and let rise until doubled. 3. In a separate large bowl, combine salt and egg yolks, and beat until thick and lemon-colored, about 5 minutes. Add remaining sugar and extracts, mixing well. Combine egg mixture with risen milk mixture , beating thoroughly. 4. Add remaining flour; Using a wooden spoon, beat vigorously for 10 minutes or 7 minutes by machine with the paddle attachment. Add butter and continue to beat an additional 7-10 minutes. 5. Beat in candied rind, almonds, and raisins. Dough will be sticky. Scrape down sides, cover with greased plastic wrap and let rise until doubled in the same bowl. Punch down dough and let it rise again until doubled. 6. Generously coat a 12-inch fluted Babka pan or tube pan with cooking spray. Punch down dough and using slightly dampened hands, transfer to prepared pan. Cover and let rise 1 hour or until the dough fills the pan. Heat oven to 350 degrees. 7. Bake about 50 minutes or until instant-read thermometer registers 190 degrees or toothpick comes out clean. Cool in pan for 10 minutes and then invert onto a rack to let it cool completely. Leave plain or dust with confectioner’s sugar, if desired.